My WIP is crawling along so slowly that I got to thinking about word counts and just how long it can take to write a novel. And I remembered a blog I’d written a couple of years back. I’m a believer in recycling and it’s relevant, so this is a rewrite of it. 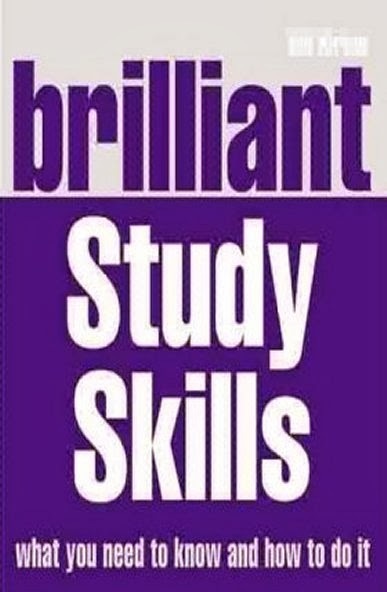 I’d just finished the first draft of a book about Study Skills for Pearson. On the basis of other things I’d written for them, they reckoned I was just the bloke to rewrite it for a different market from the one in which it was already operating very successfully. I had a meeting with the publisher and we agreed on a 145,000 word target. (Well, he said the number and I rather weakly nodded confident assent.) That was in September and my impression was that it was to be delivered the following Spring. But when I got home from London, there was an email telling me that Spring was when promotional work would start, which meant having it ready by December. As we exchanged more emails, one apparent bonus was that the total came down to 105,000. But it was only ‘apparent’ because, as I was writing, I realised that targeting a word count makes no sense. A book will always be as long as it needs to be. As it happens, this one came in at 110,508. 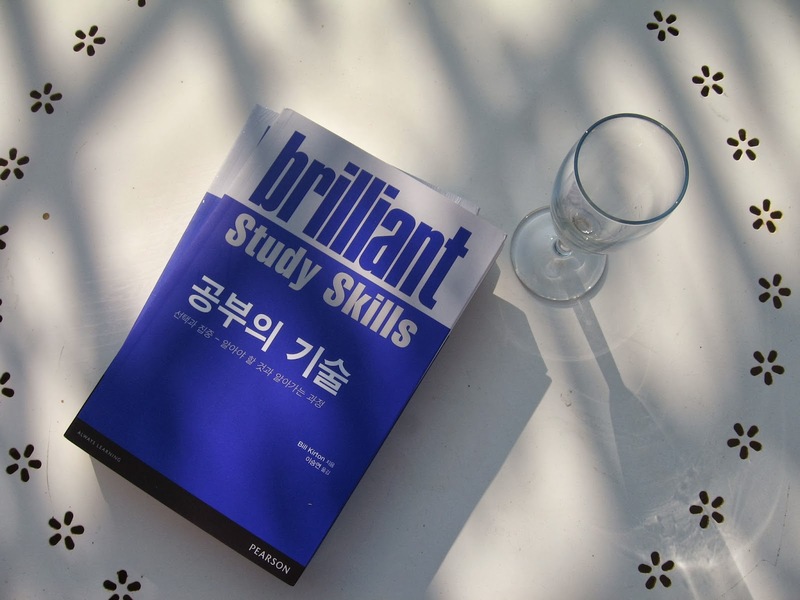 ...and this is the Korean translation (tee hee). Anyway, so I started work around 8.30-9 a.m. each day and stopped around 5.30-6. At first, as I said, I resented giving up the time but, as I got into it, it became one of those experiences where you start writing and everything (including self) disappears. In a way, you become the words. When you’re writing fiction, it’s different. Because you’re with the people in your story, interacting with them, recording what they do – but this was a book of advice. I wrote in a loose, conversational style, addressing the advice directly to the reader ‘You’ll find that …’, ‘If you start by …’, ‘Then give yourself a reward …’ – that sort of thing. But the person doing the addressing, while it was me and I was drawing on my own experience as well as the excellent material in the original book, was a sort of construct. I became a writing machine. So, what conclusions do I draw from it all? Well, for a start, the text looks much more interesting in Korean. But also, I can play statistics. For example – the 110,508 words were written in 29 working days, which is 3810 a day or 448 an hour. But the further you take this, the worse it gets. In the end, it means I was writing just 7 words a minute. 7 words a minute! That’s crap. It’s hardly writing at all. I just timed myself as I was writing this to prove it and, even with correcting typos, I can easily manage 50+ words a minute. So all it proves is that I’m a lazy bugger. In theory I should have been able to write that book in 2.9 days. Like it! A very good explanation of some of the differences between being a 'writer' and an 'author' I think. Or between writing for money to a deadline (we might call it professional) and writing for one's own (primarily) amusement/because one has to... I mean, the authory thing, where one can do as one pleases and hope that someone will share the vision. Okay, I know that some lucky folk get paid for writing fiction in advance but your blog pretty much sums up for me what my whole 'professional' writing life was (note was) about - word counts, stupid deadlines, a 'sense' of purpose but that always mediated by the deadline and the commercial transaction. I've found writing fiction is so different from that - though I'm not sure I've ever properly transitioned to the latter mode - still find the deadlines, still do the hard hours but just don't have the pressure of 'we've paid you you've got to come up with the goods' which was the thing that made writing least enjoyable for me. Enough. I think I've just confirmed to myself that I am a writer not an author. It's a suspicion I've harboured for a while. It's 8am and I haven't started my day's writing - which may or may not prove something?! Today's deadline is getting speeches for Crockett's anniversary knocked into shape - no money but the deadline looms! Watch out Bill... the meaning may be coming to get you! 'Sod it and go off for a pint.' We have a lot in common, Bill. I've written a fair bit of textbooky stuff in my life and I empathise with everything you say. And yet it is oddly satisfying because sometimes you can say to yourself, 'I might have caused learning to take place about something which is obvious to me but may be gold to someone I don't know and never will. It could be a gateway for that person to a better life. 'I have once or twice met that person and have been told that it was. That's wonderful. I'm impressed. The only way I could have written 110,000 words in 29 days would have been by typing the letters of the qwerty keyboard over and over again. My fingers may have been able to do it but my brain certainly couldn't. I think I could have written that much, but not for a piece of non-fiction. I really admire your application! I do a lot of odds and ends of non fiction writing but the big book about the history of Gigha I did was also by far the biggest slog of my life. (And probably the least well paid as well.) So much so that I would be very reluctant to do anything similar ever again, unless for so much cash that I couldn't refuse (which isn't going to happen obviously!) After a while, I realised that because it was a longish gallop through the entire history of the island from prehistoric times to the present day, every time I finished a chapter, it felt as though I had finished the whole project. Then I had to gear up to start all over again. It took months. I actually wrote quite a lot of it in the odd quiet hour I had when I was on the RLF Fellowship. I was imprisoned in a nice quiet room and couldn't get out, with an hour between appointments. I wrote it during a string of those random hours, sometimes coming in early or staying late to squeeze in another hour. Anything else would have driven me mad. With fiction, I just do it, without any of the misery! I could write 100,000+ words in a month quite easily - just not a month in this particular universe. I don't really 'get' word counts per day, except with tight deadlines like Bill's. Especially in fiction, and in other forms too, there's all the re-writing and editing and tweaking, cutting, etc. once in a while something just flows and I can do masses of words per day, but other times it's much slower, or quick and needs much editing. if you know your stuff really well, for a non-fiction book it should be easier to pump out the word count. if you need to do a lot of research it's a different story. Oh Cally, the threat of imminent meaning. What a dreadful idea. But I do like your author/writer distinction. In fact, it strikes me that that might make an interesting blog, one to which we could all contribute. The challenges of each role are so different. Yes, mad, you’re right, my ‘7 words a minute’ is totally artificial and doesn’t leave space for pencil-chewing, staring emptily out of a window and all those other things that real writers do. Nice point about the ‘doing some good’, Dennis. I recently got a tweet from someone who said my book on writing dissertations had just ‘saved his life’. Chris, I think you may just have invented the latest literary movement – ‘the random novel’ or ‘le roman trouvé’. Each work must be exactly 110,000 words long and use each letter on the keyboard an equal number of times (and perhaps be set in Montrose). Catherine, I’m not sure I could write that much based purely on my own research. You speak of your Gigha experience as carrying some ‘misery’ but I bet there was also great satisfaction in meeting the various challenges. Lee, the alternative to changing universes might be to move to Neptune. Apparently, a month there lasts 412 days. Lydia, I agree with you on the word count thing. On the other hand, I find that, when fiction’s going well, it’s sometimes hard to keep up with the flow.